Why do people use iron? The history of iron doesn’t start until much later than bronze. Iron is harder to form into metal than copper or bronze, because it needs a much hotter fire and a more complicated process. But if you can figure out how to do it, iron is also much more useful than copper or bronze. Also, iron is very common all over the world, so everyone can get it cheaply. 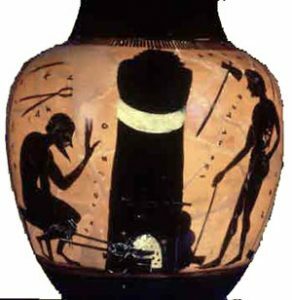 Here’s an Ancient Greek vase showing a blacksmith heating up a furnace to smelt iron ore into iron. A younger boy works the bellows to blow the fire hot enough. Below, there’s a video of a blacksmith making something out of iron. First he heats up the metal so it will get softer, and then he beats it into shape with a hammer. Nobody could work iron until they figured out how to build a bellows to get their fires hot enough. Because iron is so hard to make, nobody used iron before about 1500 BC. Then the Hittites in West Asia did learn how to use it. But they quickly saw that iron weapons were better than bronze ones, and so they decided not to tell anybody else how to make iron. The Hittites kept the secret of making iron for about 400 years, until about 1100 BC, but when the Dark Ages came to West Asia, the Hittite empire fell apart anyway, and the secret of making iron got out to other people. 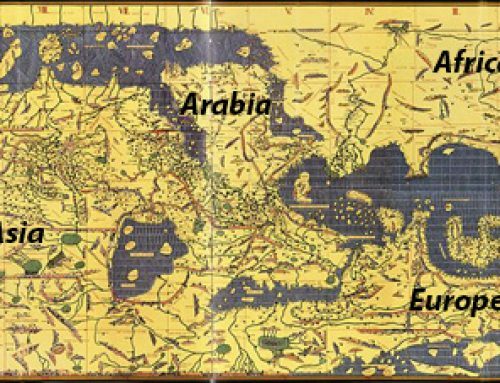 After the Dark Ages, therefore, all the West Asian and Mediterranean people started to use iron: the Greeks, the Egyptians, the Kushites, the Jews, the Philistines, the Romans, the Carthaginians, and the Assyrians. Iron-working travelled east, too, reaching India around 800 BC. People who lived in China learned how to make iron by around 700 or 600 BC, during the Eastern Zhou dynasty. Iron quickly spread to Laos, too. By 300 BC, smiths were using iron in Vietnam. And iron-workers in Greece were burning coal to get hotter fires. By about 300 AD, people in West Africa and East Africa had also learned the secrets of making iron. Some people think they learned how from the Egyptians; other people think the Africans figured it out on their own. Since then, iron has been the metal people use most all over Afro-Eurasia. History of iron: what did people use iron for? Not only was iron cheaper and easier to get than bronze, it also made better tools. With an iron sword, you could slice as well as stabbing with the point. Iron armor was lighter and stronger than bronze. Iron knives and scissors were sharper than bronze ones and stayed sharp longer. Iron fish-hooks were stronger and lighter and sharper than bronze or bone hooks. Iron cooking pots weighed less, got hot faster, and held heat better than clay pots. Iron bars were stronger and could hold more weight. In India, by the 1000s AD architects were even making iron beams to hold up the roofs of big temples. But people didn’t stop with just inventing iron. Not long after people started using iron in Central Asia, they improved on it by inventing steel. Steel is iron with extra carbon in it. Around 300 BC, people began to make high quality steel in India and in Central Asia (modern Uzbekistan and Afghanistan). Steel swords were stronger and sharper. Steel sewing needles were thinner and sharper, too. With steel needles, people started to sew clothes more instead of just wrapping pieces of cloth around themselves. 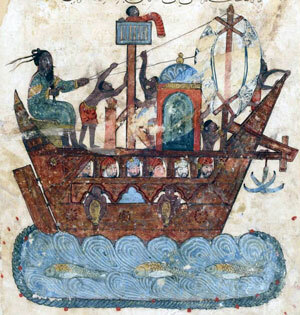 Central Asians and Indians started to sell their steel to West Asia and China along the Silk Road. 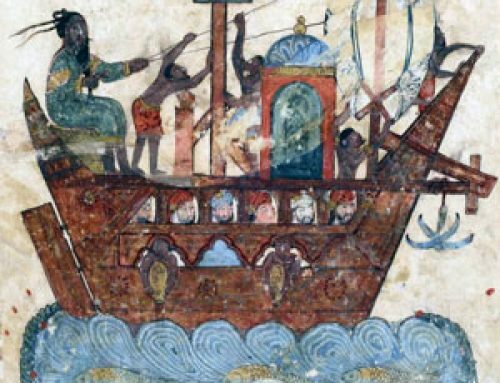 By the 800s AD, the Vikings were making the long trip south-east from northern Europe through Russia to buy Central Asian steel, too. Did you find out what you wanted to know about the history of iron and blacksmithing? Let us know in the comments! Learn by doing: look around your house. What is made of iron? Cite this page: Carr, K.E. History of iron and blacksmithing – from iron to steel. Quatr.us Study Guides, September 7, 2017. Web. April 19, 2019. Would Iron be used for anything else during the 1600s? And thank you for the great article. I’m glad you liked it! Yes, by the 1600s people were using steel (a kind of iron) to make the little parts of mechanical clocks. That’s important because you needed accurate clocks to keep track of where you were on a ship at sea. People were also making more and more machinery out of iron, like knitting machines. Quatr.us Study Guides is the publisher. 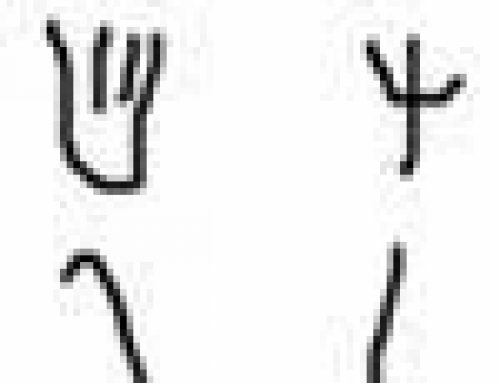 I have a question about the validity of the Hittites creating the process of making iron. India also claims to have created iron around the same time frame 1500bc. They have more archeological evidence than Syria does. So what makes the difference when citing the Hittites over the Indian culture? What is the evidence for iron-working from 1500 BC in India? I am not aware of it, but would be happy to see it. India takes the lead in steel-working in the 300s BC, though. You can read our article about that here: https://quatr.us/india/steel-ancient-medieval-steel.htm . I would place the Hittites in what is now Turkey, not Syria. It’s not right at the beginning of the article, but it’s in there. Yes, it does. Look at the 6th paragraph.